Bring a laptop with Linux/vi installed. Please bring a laptop with VirtualBox installed on it. Scott Seighman is a Solutions Architect at Red Hat, the world’s leading provider of open source software solutions. Based in Cleveland, Scott roams the Ohio Valley creating possibilities, solving problems, and establishing working relationships with Red Hat’s customers and partners. Scott works at Red Hat, the world’s leading provider of open source software solutions and the company. Scott is part of the Solutions Architects team, responsible for creating possibilities, solving problems, and establishing working relationships with our customers and partners. 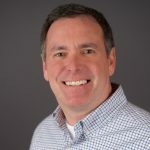 Scott is versatile technology professional with over 25 years experience in the dynamic, fast-paced computing industry. Established in many aspects of architecture, development and design from mobile to cloud, using a variety of software and hardware solutions. Demonstrated success creating compelling solutions which solve customer business challenges, utilizing a blend of creativity, team collaboration and extensive industry knowledge.